Dr. Dimitris Sotiropoulos, Professor of Political Science at the Department of Political Science and Public Administration of the National and Kapodistrian University of Athens and researcher at ELIAMEP, published a new study titled: “The Backsliding of Democracy in Today’s Greece”. Democracy in Greece has survived the economic crisis, but democracy’s longterm problems have been accentuated during the crisis. Democracy has started backsliding. 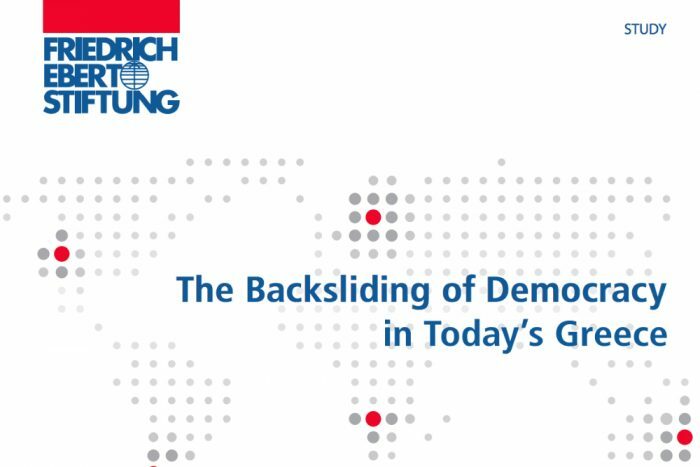 The backsliding of democracy is related not only to the gravity of the recent crisis, but also to long-term, historical legacies, such as political clientelism, populism and corruption. Corruption has undermined transparency and accountability, negatively affecting the rule of law.